Is your child participating in next year’s orchestra but doesn’t know which instrument they want to play? Picking the right instrument is important to your student’s success, but the decision is most often arbitrary. Our Orchestral Instrument Introduction Class will introduce your child to the different options they have and help them make a more informed decision. 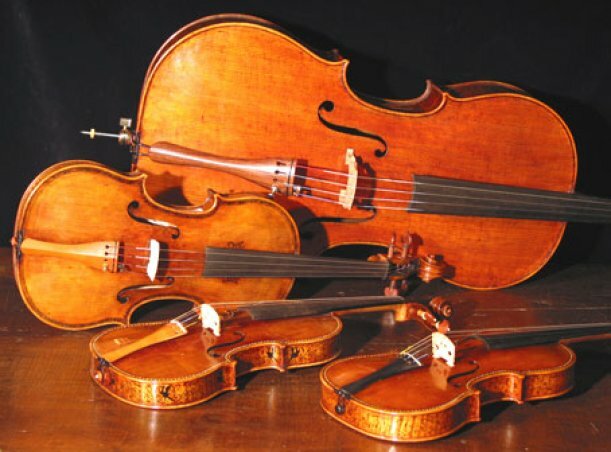 In the class your student will learn about and play the major orchestral instruments offered including Violin, Viola, Cello and Double Bass. Each day is dedicated to a different instrument where they will learn how the instrument works, how to get a sound out of it and ultimately how to play basic notes. Basic music theory and reading is incorporated each day with fun musical games. Ultimately your student will be able to pick an instrument knowing their options based on their experience with that instrument. The program is two hours a day for one week and costs $90. You must pre-register at least two weeks before the class and commencement will depend on enrollment, maximum class size will be six students. You are welcome to stay and watch your child’s progress or leave them for the duration of the class. All instruments and accessories are provided, all you need to bring is a willingness to learn. At the end of the class your teacher will provide you with an assessment of your child’s skills and an instrument recommendation. This year's program is being taught by Mr. James Queiros. 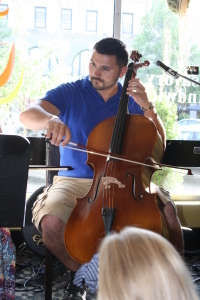 Mr. Queiros has his degree in Music Education from the Hartt School of Music. At Hartt, he has studied closely with renowned bassist Robert Black and education expert Dr. Joshua Russell. James is able to teach all genera of music including classical, jazz, folk and popular music. He is the co-founder of the Mikey’s Place Summerfest, an annual concert of young local musicians with all proceeds going to benefit the Mikey’s Place handicap accessible playground in Wethersfield.